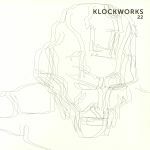 Discos en vinilo y CD de Klockworks Germany. 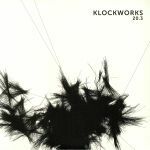 Review: Ben Klock revives his own Klockworks imprint with some pounding excursions into the genre we call techno. 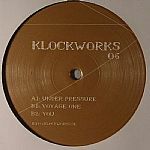 The fleeting organ melody of "Under Pressure" rests above a taught, tense drum loop, while "Voyage One" begins with the kind of thumping beat that characterises a Ben Klock DJ set, with a frenzied key structure giving the track a sense of unease and nervous anticipation, almost like Jeff Mills' Something In The Sky series with a Berghain beat. ""You" rounds off the 12" in a minimal, atmospheric undertone. Limited supply, get in quick. Review: For the 24th release on his Klockworks label, head honcho Ben Klock has reached out to fellow Berlin native (and chief of Kanzleramt Records) Heiko Laux, who delivers a collection of highly engineered dancefloor weapons. Klockworks 24 features the immersive and mentalist epic opener "Self", powered by its minimalistic and cavernous acid pulse that lurks beneath steely rhythms and apocalyptic pads. It definitely deserved the A side in its entirety because this one is serious. On the flip, we have the deep and affective "Antipode" followed by another hypnotic journey down the vortex in the form of - and fittingly titled - "German Turbine" which heads straight for that strobed-out style of tunnel vision. Tip! Review: Ben Klock's own Klockworks is back with another surprise after last year's Anthony Parasole bombs. Sterac, otherwise known as Steve Rachmad, has been making pulverising techno heart-stoppers for the best part of two decades now, and it only makes sense that his latest concoctions should end up on one of the most iconic Berlin labels of this generation. 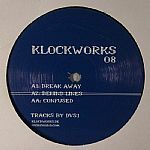 Like all of the label's output, these are tracks which you can just imagine Klock playing in one of his legendary extended sets at Berghain or throughout the rest of the world. The grooves are tense, the beats stripped to their bare bones, and the melodies minimal and unobtrusive. Functional machine music from the heart of the scene. Don't miss it.